In this comprehensive study of the Modern School movement, Paul Avrich narrates its history, analyzes its successes and failures, and assesses its place in American life. In doing so, he shows how the radical experimentation in art and communal living as well as in education during this period set the precedent for much of the artistic, social, and educational ferment of the 1960's and I970's. 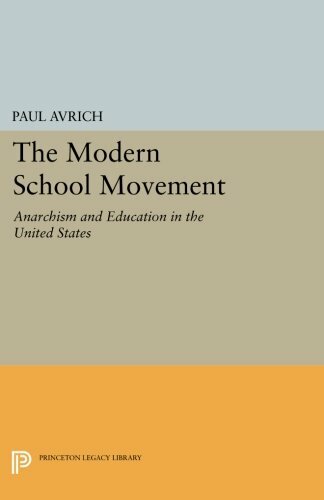 About: In this comprehensive study of the Modern School movement, Paul Avrich narrates its history, analyzes its successes and failures, and assesses its place in American life. About: Based on extensive interviews with former pupils and teachers, this Pulitzer Prize-nominated work is a seminal and important investigation into the potential of educational alternatives.